What a time to be alive! Are you playing games on your mobile phone, but can’t bring your phone to your cubicle at work? Well we’re now at the point where mobile games are also being ported online for people to play with just their browsers. You can now include Monsters Up, an arcade mobile game, to that long list of games to play when there’s nothing else to do at work. Monsters Up is an arcade game that relies on your ability to time each and every jump that your monster will make. It’s a game that requires you to have précising timing and reactions to whatever the game will throw your way. So you play as a little monster that wants to go up – literally. Your little monster will only stand still in the middle of the screen and can only be moved by jumping. 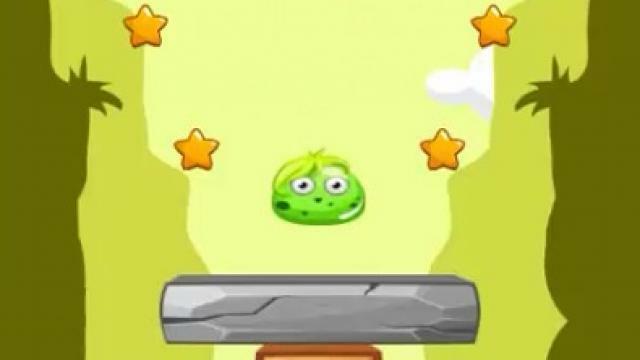 As you play, the game will throw platforms towards the middle of the screen; you’ll have to time your jump to make your little monster land on that platform. If you get hit by the platform, it’s game over and you’ll have to try again. You’ll keep doing this and slowly, the platforms will stack up. You’ll also need to make sure that the next platforms after the first is balanced on the bottom platform – if it’s not, you’ll fall and it’s game over. After a certain number of platforms, you’ll be able to pick up a star. This star will fix up your previous platforms so it’s balanced, basically letting you start new. As you go on, the platforms will become faster, so more of your precision will be demanded. Monsters Up is a cute little arcade game that can take a few hours to play if you don’t watch your play time. It’s fun, easy, and gives you that “one more time” kick. If you’re looking for a nice game you can easily pick up while waiting for something, then this game is perfect. This entry was posted in Arcade, Physics, Platform and tagged Mobile. Bookmark the permalink.